If you are looking for the best FOREX trading systems then you should first take a look at our Introduction to Currency System Trading Page which will give you all the basics on system trading in terms of the type of methods used and the time frames they can be traded in and we have mentioned that the best type of systems to use are those which are long term and simple by nature in terms of they generate there trading signals. the reason why simple trading systems are best is they have less clutter in terms of rules, to generate their signals and tend to be more robust in the face of ever changing market conditions,. In addition, if they are based on longer term time frames, the trading rules will tend to generate more accurate trading signals which is not so when time frames are to short. You can have a trading system which will work well in a long term time frame but will totally fail in a short term time frame and this is due to the random nature of price movement in shorter time frames. So if you want to get the odds on your side and get more accurate market timing and better profits from your trading signals you need to be using swing trading or trend following system, rather than day trading or scalping program. in terms of the best currency trading systems that make profits, they may all be different in certain aspects of their trading methodology and the way they generate there trades but they will all have certain characteristics in common which are outlined below. Profitable FX trading systems all tend to be simple which makes them robust in the market and trade all currencies with the same logic. If the system works on one pair it should generally work on any pair. Simple means a pure price action trading system or one which can use indicators but if it does, it is very selective and will probably only use a few and and by a few I mean 2 or 3. Most of the best FX systems will use support and resistance and look to follow trends - either of an intermediate or long term nature. They will identify areas of support and resistance and use momentum or leading indicators to confirm trades and execute correct market timing - when support or resistance has been proven to hold or break. The best currency trading systems tend to react to currency prices and act upon the reality of price change - they do not try and predict the future. Generally the best systems are either a range trading or trend following by nature and aim to keep losses small with good money management rules and run profitable trends. The ratio of profit per trade against loss per trade, varies but is normally at least 3:1 and this compensates for the fact that even the best FOREX trading programs will tend to win 50% or less of there trades. There is of course a variance here, depending on whether the system is involved in FOREX swing trading or long term trend following. All the best currency trading systems have periods of losses and if they do not, then their simulated or hypothetical track records that have NEVER been traded for real. The fact is in FOREX trading, risk goes with reward and drawdown is a natural consequence of taking risk. Even the best trading systems can lose 20 - 30% and have drawdowns of several weeks or months - this is simply the nature of currency exchange markets. The reason for this is markets are in a constant state of flux between trend following periods, consolidation periods, periods of high volatility and periods of low volatility and most trading systems, will only trade certain conditions well and this means in other periods they lose but if they have good money management, they can preserve equity in these losing periods and then run there profits when trading conditions improve for the system. Is critical to the success of any FOREX trading system and money management does not mean just placing a stop - it means having a money management plan for the whole account. All the best currency trading systems have well thought out money management rules - the key with any system is play great defence and protect what they have - if you get to far behind in terms of losses its very difficult to recover losses and get back to profit. The best currency trading systems work to a set objective rules to determine the execution of trading signals and exact market timing. Objectivity and rules mean - anyone can operate the system, if they know and have confidence in the rules. We see many trading systems which leave so much subjectivity up to the user (good examples are Elliot Wave, cycles etc) that they are not systems at all and success or failure depends on the FOREX traders judgement. 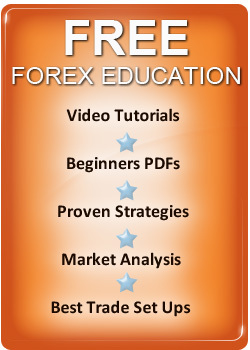 What Can You Expect In Terms Of FOREX Profits? Without taking excessive risks then we would say that over a 3 - 5 year period, the best currency trading systems can generate compound growth of between around 30 - 50%, with drawdowns in the region of 15 - 25% but be aware, these can last for weeks or months depending on the system. Of course this is just a general guide, as its hard to be specific with so many different systems in currency markets to choose from. Now you need to choose the best currency trading system for your investment objectives and you can get free trading programs, buy one from a vendor or even build your own trading system for profits. Lets take a look at the options in more detail. There are a huge number of these for sale normally called FOREX trading robots or Expert Advisors rather than trading systems and there mostly junk. They produce huge gains and short periods of losses with hardly any volatility on the downside and the old saying applies to them, as they do to any other scam - "If it looks to good to be true it is"
These systems never have real proven track records just, back tested track records which have been curve fitted to past data and fail miserably in real time trading. There cheap, use hyped copy and promise the good life for a hundred dollars or so - avoid them! There are some good retail trading systems on the market but they will have realistic track records, periods of drawdown and come from real traders and will normally have a verified track record from an auditor. They will also give you the logic of the system so you can understand it and follow it, with discipline through losing periods. You can get free trading systems online which work and two of the best are Richard Donchians 4 Week Rule and the Turtle Trading Rules. They maybe free but they both work and have easy to understand logic - there are more details on there trading strategies, on this site so check them out. While many traders think building their own system and making it part of their FOREX trading strategy is hard, it's actually quite simple, with today's online trading platforms and currency trading software. Decide your time frame depending on your trading personality. Use support and resistance and a breakout or swing trading methodology. Be selective and only trade valid support and resistance. You can base it on pure price action or use a few confirming indicators if you wish (such as RSI, stochastic, ADX, MACD etc) to execute your trading signals and confirm your entry points. This will help you keep your trading system robust and avoid curve fitting. Test it on back data going back 5 - 10 years the longer the time frame the better. Make your rules as objective as possible to stop your emotions getting involved. Study standard deviation of price and make sure your stops take into account volatility. Put a stop to close and market noise will stop you out and to far behind and you risk a wipe out of equity. Stop placement and trailing is critical to your FOREX success. Construct a money management framework for the overall account. When you have done all the above make sure you know you're "trading edge" This is the factor which will enable you to enter the elite 5% of winning currency traders, who make consistent FOREX profits. There is no such thing as the best FOREX trading system for everyone and the one you choose should match your personality and also keep in mind when following trading signals,you will face periods of losses were your emotions can get involved and want to either quit the system or over ride the rules and this must of course be avoided at all costs. If you are a disciplined trader, system trading is a great way to make money in currency markets and while you can use someone else's trading system my own view is it's easy to build your own. If you build your own, you will probably match it to your personality and will find it easier to follow with confidence and discipline. When following signals, confidence and discipline are the keys, to turning a currency trading systems potential into profit. I think having your own, will give you the confidence and patience to follow it long term and make some great profits and its a lot simpler to do than most traders think.